This handle/key holder makes opening locks easier by providing more grip. Especially useful if you are wearing gloves it will provide a larger area to grab while opening locks. Engraved with the Railroad name so you can tell your keys apart. 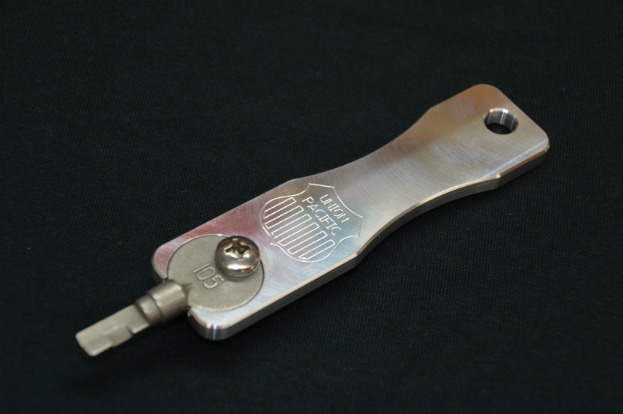 The handle/key holder is machined from aluminum to fit a standard Railroad issued key with a 1" diameter head. Just pop in your Railroad issued key fasten it in and you are good to go.